You play Shay Patrick Cormac, a young Templar. You are standing on a rock and you shall kill the assassin before you. The whole thing turns out to be a joke, because the target is a brother of yours. Then follow this tree trunk and high jump with a leap of death in the leaves. You can reach La Verendryes stock. You are showing disrespect and you have to beat. Beat counters or attack with X and B. Follow the Templars over the trees and you sneak into the camp of the English. Since you now have blades you can use them. Kill the English out of bushes, or stabbed them easily. Then take the enemy troops. Freed the troops and learn to sail the ship. Steer with the left stick and ride faster with A, slower with B. Then go to La Verendryes ship. This is attacked. Before you test on an iceberg your skills the enemy ship arrives. Aim to provide LT, RT shoots and moves the crosshair with RS. In Abstergo you will rudely awakened, something you have done wrong. Follow the woman and entertain her with the two ladies. Your goal is the server room. There, you have to solve what you encounter is more often a mystery. Solution: Move the selected beam at the start up and then replace with LB the ring. This put you in the middle. Not hard right? After you learn about Al Mualim, go back into the Animus. Follow the marker on the HUD. Achilles! We know that. Head over to the training ground. There are three training sessions. - Shooting: Aims to provide LT, RT shoots. Can you recharge with LB. In the running you can press Y to shoot. - Melee: Kill the doll with different attacks and do not let yourself discovering of the two guards. - Hunting: Follow your teacher about the trees and use the eagle eye with LS to find a deer. Use the jump attack to kill it. Skinning it with B and build a gun holder. Then go to Achilles. A spy has probably found something up on a manuscript of the Templars. Before you encounter this, however, it looks first for a British ship, something to practice piracy. So go in the marked area. With the direction button above you can then select the binoculars to highlight the schooner. Fire at it with RT, twists and turn you around your flanks to right with the guns. But you can also shoot with your nose cannon. Have you made the ship to maneuver, with B (hold). Kill five crew members and then decide what you do: repair or gutting the Morrigan. Then sail to Perce. Equip your ship at the harbor master for the newly captured raw materials. Then sail on to the fort on Anticosti. On the way you will meet 5 ships of the Royal Navi. Destroy them and then sail on to Anticosti. Run through the city and meet the spy. You should now shade and watch where the ship breaks forth the delivery. So go to the green area and follow the ship. Remain outside the radius of the enemy ship. In addition, you have the enemy ships around stay out of their sight. After a short drive you have to follow the ship to shore. Jump to the country and use your acrobat skills to reach a small village. The ship has docked, the packet is hidden there. You can now fight your way by force or sneak to the package. In the pack you will find an air rifle that you choose instead of the gun. With this you can shoot her berserk or sleep darts. Now you're looking for Lawrence Washington. The patrol on the road can paralyze with double arrows Berserker their anger then to other soldiers. Use arrows. Once on the hard burst into several Templars. Your target will then move to the roundabout in the center, including guards. Go up on a roof and only switch the monitor or hidden in the crowd, as required by the optional objective. Then kill Lawrence Washington and flee with smoke bombs (Y) from the city. At the start you get the Puckle Gun for your ship. With this you can with RB aim at the enemy ship to align specific and strong damage. Search for the Equitas. Go to the green area. There you will find Sam Smith. Follow him, distance is not necessary, Smith knows that you are there. Destroy the mine, which interprets Smith, using your Puckle Gun. Then through the ice and follow Smith. It's a Trap! The first enemy ship rams you, and you have to beat it. Kill the 10 crew members. Your victory, you take care with the Puckle gun to the other three ships. Smith is still in sight, he follows. Caution He puts the water with a layer of oil on fire. So make circum navigating the laughter. He leads you on an island with restricted area, a camp of the enemy so kill all the enemies and Smith to come to the box. You shall be presented to the dart. See a tree, select the dart, press Y, and hold Y while you let yourself fall backwards. thereby hang an enemy. Your first task is to sneak in the Congress of Albany. Best unseen, in order to achieve the optional objective. The road is not far, so you can take a few guards off with your gun or kill the enemy from behind. At the congress you meet Benjamin Franklin and William Johnson. A messenger is now to bring the manuscript to William Johnson. Follow the messenger and kill him on the way to the fort. Can you manage this, only when he stands before the door, you have to fight some enemies here. Once you finish the messenger, climb right to the fort up the tower. The climbing locations are as always good cost. Addiction in the Fort James Wardrop with the help of the eagle eye and kill him. Do not let him escape, but run after him. You will receive the manuscript. Flee from the area. Benjamin Franklin needs something to open the box. Therefore, you have to get him. Go to the dock and activated your eagle eye. A soldier is under the roofing. Follow him. Remain always behind him. 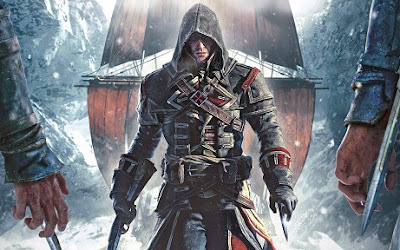 Assassins Creed moderate the guard happened namely some enemy lines through which can not pass through it. So take higher position such as roofs, to follow him. But pay attention to protecting and finish them with your pistol or your rifle. It bypasses the bridge over the tree trunk on the right side. The soldier brings things to a barn in a field. Sneak through the field to the barn and get some things. Bring them now Benjamin Franklin. You are now sailing with-find information to Portugal, Lisbon. In the church you must activate four keys. Wind, Fire, Water, Earth. These keys are all under the roof and all four in all four corners of the church. It's best to climb up the wall in front of you and to the right activate the first key. In front it then, since rods protrude from the wall. You come to the keys 2 and 3. But suddenly collapse and everything you need to escape from Lisbon. In the rest of the sequence you have to escape only race and the ruined city. The path is clearly visible. Shay is shocked and does Achilles for this delightfully us that destroyed Lisbon. Run to the house and rise above the balcony door. Go straight to the room and open the drawer. After a fight with Achilles, it's just off the island. Flee, it does not kill and use your smoke bombs to rid the opponents. At the end Shay falls into the water. After the fall of Abstergo has lost access to Shay. It appears a more recent memories without context. Find the criminals behind the house and follow them. Kill them on the way to Benjamin Franklin or on the court. The memory chips and you find yourself back in Abstergo. Talk to the guy in his office and then get into the elevator. In the foyer you go into the server room and solve the puzzle. Solution: The meanest ring comes up, the second from inside down, the third party nor a deeper and you have already done it. Then rises again in the Animus, and you see how Shay has been added and maintained by a family Finnigan. Suddenly there is shouting in the next room. Go there and beat the two guys. Your thereby acquires confidence Finnigans and get a suit and equipment. When you leave the house, you see another band member. Follow and give way to smoke. The guy running over the rooftops. Can not get to him, you have to ask battle it out with three band members. Then go into the tape stock. Here you seek the band leader with an eagle eye. By the compass you see the direction in which you have to search. The bigger the bar, the closer you are to your goal. Have you done the band leader, you will meet George Monro. This leads you to the thieves’ hideout where you can pick up money at any time. That is, if before some time has passed. Monro follows that leads you to a building that needs to be renovated. He gives you the necessary money and the necessary raw materials to renovate the building. Your new found friend asks you to rescue his buddy out of the hands of the enemy. His name is Christopher Gist. So run in the selected direction and you'll get the hint that you can now shoot bang bullets with your air rifle. This draw enemy to a certain place. So you can get over the bridge. Then keep to the right wall to find on the outside wall a way in. Jump across the rooftops to poison and shooting down the rope on his neck. Then, struggling with him side by side against the emerging soldiers. After the battle, she suddenly discovered your old ship, the Morrigan. Place around your ship are some Schleicher. Lure them out with firecrackers and kill them. Everywhere Schleicher are hidden. In bushes, benches, shed and behind walls. Therefore, use your eagle eye and compass to find them all. Elicit them and kill them. They catch you first, they countered with B if possible, otherwise they pull you from some of life. Once all dead, go to the ship, take the elevator to the top and replace the old Assassins flag. Sail with the Morrigan to the French settlement and docks. Now you have to enter the camp, I advise you to take observation tower first. Then jump on the wooden beams and the trees in the camp and look for the key carrier out. Did you see him, he will go under a tree. Do you want the optional objective, jump on the road and kill the guy with a dart. Defend yourself, then, if necessary, and penetrates into the bearing. Then you walk back to the ship, but you are not done yet. Enhance your ship weapons, bought especially the mortar. Then take course towards Fort. Take this one, by their fires with the mortar on the three towers. But you can shoot at the towers with normal guns. Fit on other ships and the fort fire. Then take the fort, shall possess the two viewpoints. About low standing trees and low hanging wall pieces you come easily into the fort. After the two lookouts have been killed, enter into the planning area. Since there still hanging around some enemies, you have to kill them if necessary, as their coming in anonymously in the room. In the room you will find La Chasseur. But after a brief small talk then speak the blades. Counter his attacks besides environmental objects to throw in it one. With little life counters again press A to hurt him. A final counterattack and an impact cascade make the Assassin an end. Return to the ship. It could be that Shay now also applies to Hope after the assassination of La Chasseur. Reach Benjamin Franklin House. Use the bushes and wait until the guards are away from the house. Two are always available, so attracts them away or makes a bow, so that you can get to the door behind them easily. You will receive a Grant Bowler! Oha! Follow Monro and shoot with frag grenade at the door. About you lower direction key you choose from the grenades. Tested, you shall now use the weapon in reality. Jump over rooftops and trees to poison stock. Here hang around some guards, which you can put to sleep. I advise you first turn the opponent on the roofs. Shoot grenades of your choice in the quantities. To change the areas that you are destroying either use the door or climb over to the rooftops. Your way requires frag grenades to get to the poison stock. One is guarded, before the other is a door, but can you blow up with the explosive barrel in front and one behind lock. Hold for longer pressed B. And stay away from the green fog that hurts you. Then leave the area. You are on the Morrigan, Morro wrote you a letter. Fall in reading, for example through the cabin. You can learn the Morro in trouble lies. Take over the control and sail to the destination. Incidentally, you also get the manuscript, which you once lost her. Move through the thicket. Here lurk some Schleicher, so be sure to use Eagle Vision to highlight more. Then you reach Morro, which is just a small fight. Save him and follow him then. Suddenly you a known assassin shows up on a rock and you will be attacked. Defend Morro and then climb the native afterwards. It's the rock high and right to the top. At the top you kill the 9 shooters. This is made in secret or with speed. They also change their position, if it is too colorful to them. Take the shooters as cover if shot at you. Also use bushes for short-term shelter. Then return to Morro and follow him. Take care of the final three shooters on the upper level by their high run the tree on the left. Morro is then saved and the fight is over. Go with the Morrigan to native village. Once there, you can see how some villagers being held hostage. Your first objective is therefore to remain undetected and first off the guy with the gun. Will discovers, this is in fact not hesitate to shoot the villagers. Take care then only to the other soldiers before you dedicate yourself to the hostages. You must save a total of 12 hostages, mostly they kneel in two couples in the dust. Incidentally, you must not more than 6 hostages to die. Do you have the necessary 12 villagers rescued, appeared on the village elders and thank you. They also lead you to a door. Behind this door you will find a special armor to open it, but you need all seven totems that distributed it in the world takes place in caves. In the second part you put yourself on the other side of the river. Here the British are overwhelmed by the French, so you have to remove the French. At least a Briton must survive, then the mission is successfully completed. You can find wreckage on the water, Monro seems to be in trouble. So is sailing to the village and docks. Now it is your goal to get to Monro. Do you want to meet the optional target, let you engage in any fights and skims over the rooftops. Arriving at the Fort is the battle already in full swing. Kill the French and the exploited if you want to Puckle-guns on the walls. They are marked on the map as green dots. After the battle appears Kesegowaase. After his death leap you can just follow him and stab him in the back. That should not be a problem. Is the Assassin dead, you must save Monro, who is supposedly haunted by Liam. Run through the village and you don’t have much time. Here you have namely in a burning house, and left the room. There is Monro. Pick it up with B and bring him out. Monro dies anyway and the manuscript is lost. You are now a full member of the Knights Templar. Haytham asks you for an interview. You will receive at the beginning of the mission, the giant warship of Captain Cook. After a time jump you follow the British fleet, emerge as suddenly French ships out of the fog. With LB and the mortar you can ever off from a distance some ships. There are also wide sides and balls at the bow and stern. Use the entire firepower of the British warship to win. Your enemies are once confined to small ship and a large warship, but that will change soon. First dive on Brander to smash burning ship. Turn out it in a mortar and your BBs. Then appear more Brander, as well as some larger warships. The mortar, as always, do the most damage, the enemies get too close fall back on your broadsides. Your search Adewale, a friend of Edward Kenway and an assassin. Follow the ship and will be left, lest you enter into the yellow search field. Go ashore and sneak into the camp. Hold on top and at close to the rocks, then you will not be stopped by the soldiers. Except you want a fight, then go for it! In the small village If your goal right on top of a hill. For me, it took some time until I found it, you can watch the guards but leave it in the left hand. Follow him and already see him as to weaken his ship. Once in the large bay you can use the mortar strike. Have you won the battle, Adewale is at anchor. Follow him on land and sneak to him. This is easier said than done, because Adewale is guarded by some soldiers and he flees when he sees you. Do you want to kill any opponent, as required by the optional objective, you'll have to remain a long time in the bushes. Otherwise, you can roughly the same way as I turn, therefore run on the cliff along and then left through the bushes. Then climb up the house and look that you come right into the rock wall. From here jump onto the roof and surprise Adewale from behind. Can he escape the thing is exhausting, especially if you want to get the optional objective. For then appear on many Schleicher from the bushes that do not actually get around. So make you to kill him unnoticed. Shay overheard a conversation between Achilles, Liam, Hope and de la Verendyres. You are ready to re-open the casket. Haytham and Jack have come up with a plan. Trace the two guys on foot and remain quiet on the road. The first caught while he tries to get to the roof and the second you get yourself on the roof. Then you dressed yourself and climb the tower. You have a total of 4:00 minutes, but that is perfectly adequate. Cut up the banner going and then jump down. Loot the chest by force open the door or break. Your comrade take care of the rest. Then you flee from the area before the time has expired. Follow Haytham and on the way kill the enemy soldiers who cross your path. To see to it you do not have to deal with the soldiers. Run directly to the right and climb up the tree. A fight with the opponent is unnecessary. Therefore run directly behind the house and climb to the building facade to the high glass roof. After you Hope has locked up with poison gas, you have to try to leave the room. To do this you use the cart, and then shimmy along the wall. The path that you must take is very well visible. After then escape from the poison gas, you are in the garden, is best every fight out of the way, for you are poisoned and must keep moving. Do you also have the garden left behind you, you come into the city. Before the opponents are incidentally mixed with poison in Rage, you should avoid them much more clearly. In the city you follow her on the roof and differ from the poison gas bomb. Provide mostly well become much better ways to. Are you fast enough and can kill them with an air attack, everything remain simple. She escapes, however, and they need her back with the eagle eye tracking, it behaves like a Schleicher, which can be difficult. Then counter their attack. Sail for Fort to Anticosti. Along the way you see allied British ship. You will see them again soon. Sail to the anchorage on the rear of the fort and climb the tree trunk up on the left side. Renew climbing layers then bring you into the Fort. First get rid of the viewpoints of guard. Then it marks the security guard who walks around with the cards. This shall come to pass after labeling in a building where you can quickly and easily steal the cards. Use to B. Then flee from the Fort back to Morrogan. You can take back the same way again. The Morrigan is meanwhile fired. Sail straight towards the enemies and shoot at them. You have no chance ... King George's men appear. Flee to the open sea. Before upgrade from your ship, otherwise this mission could be difficult. Especially mortar ammunition is important!!!! Sail in the selected direction and make the expedition fleet locate. From the fog suddenly 6 ships appear, two of them heavily armed. I advise you to use the mortar on the big ships. But be frugal, you need something later. You can easily destroy the small ships. Also do not forget the burning oil. Use the waves as a natural shield. The last ship will try to board you. Kill 10 crew members in order to win the battle and repair after the Morrigan, what should be necessary. The next fight is not long in coming. The Gerfaut takes you to us is already a very impressive ship. The fight is just like the first, you need a mortar and burning oil. The rest is routine. Above all, the oil is very useful if you seated the huge ship in the neck. Is the ship ready to enter, hold B down near him and jump across. Kill La Verendrye. As you can see, this is in the Tumult not so easy, so you can slaughter previously quiet and the other crew members. The final mission starts. It only misses Liam and Achilles. The ice arrived follow her Haytham and jump over the ice floes. It should go without saying that the water is deadly. You meet at a warehouse. Destroy the enemy there, by all possible means. Then you will separate by the Grand Master of the Templars. The guards around the campfires you do not need to be noted on the ice pillars you come also as the goal. After two caves you reach another section of the cave. There are laser beams that come out of the floor and the walls. Deviate from this. Once you have survived the fall, you will meet Achilles and Liam. Achilles sees his error, Liam is being stubborn. He flees. Follow him and deviate with smooth movements of the beam. The path on the ice, however, is predictable. It comes to ranged combat. Liam shoots at you. Excape from these shots, by id behind the pillars. This game is played all twice, the second time you have to pay even a little better on the timing. Follow Liam one last time and introduce Luftattenat. After the sequence Liam lies dead on the ground and you survived. You meet at a battlefield of Achilles and Haytham. After you have spared the life of Achilles, you get off of the Animus. Take the elevator to the basement and follow the light to get to the servers. For this you use the small elevator next to the main computer. There you hack the server. Once you have the server hacked, get back up and load the file in the main server.